Have I ever waxed poetic on how much I adore Classic Elite Yarns and their superb booklets of patterns? 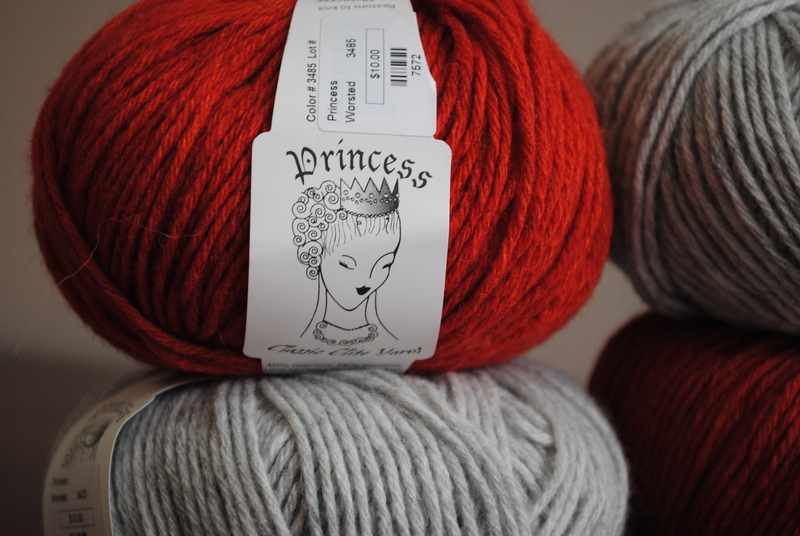 I recently scooped up four skeins of Princess CEY in a red and light heathered gray colorway because they were absolutely gorgeous. As yet, I have too many projects with strict deadlines attached to actually tackle a new one with the Princess, but I’m thinking of giving go their Fresco Legwarmers (even though it calls for Fresco/sportweight yarn, I think this could be a fine substitute as none of my favorite knitting shops ever have loads of CEY Fresco in shop). The 9101 Accessories Book I happens to be one of my favorites; I want to make every single pattern available in the little book, and am about halfway through the Fresco Cowl, which is gorgeous (I’m working mine in the Periwinkle colorway). When I actually take to this gorgeous Princess, I’ll keep you posted.